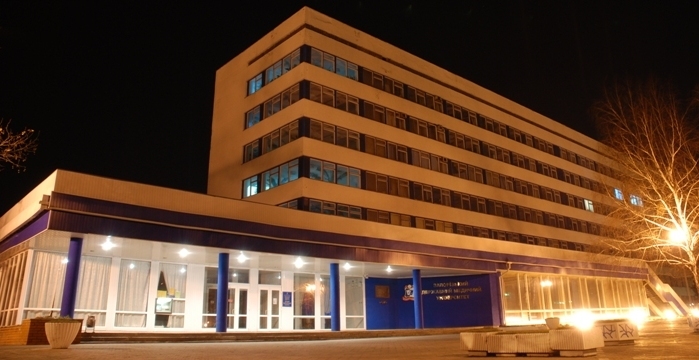 Zaporozhye State Medical University is a self-governing (autonomous) state higher educational institution of the IV (the top) level of accreditation. Its history comes back to the Higher Women Courses organized in Odessa in 1903. In 1921 the Courses were reorganized into the Chemical-Pharmaceutical Institute. In 1935 it was reformed in the State Pharmaceutical Institute. In 1941 the life of the Institute was interrupted by the Great Patriotic war up to 1944. In 1959 the Pharmaceutical Institute was transferred from Odessa to Zaporozhye and in 1964 the Medical faculty was opened. In 1968 Zaporozhye Pharmaceutical Institute was renamed into Zaporozhye medical institute. In 1994 it got the status of Zaporozhye State Medical University. Now it is one of the leading Medical Universities of Ukraine. It has become a training center for medical and pharmaceutical specialists for Ukraine and for foreign countries. More than 30.000 specialists have graduated from ZSMU since then. At present more than 5000 native students and about 800 foreign students from different countries are being trained at the University. Zaporozhye State Medical University is situated in the historical center of Zaporozhye COSSAACS, the city of Zaporozhye, in the south of Ukraine. The population of Zaporozhye is about 1 million people. Zaporozhye region is in the maritime – steppe zone: summer is hot (the average temperature is +20, 70- +23.60, winter is mild (the average temperature is – 20). Zaporozhye is a large industrial, scientific and cultural center. It has 8 higher educational institutions and many colleges. It is a center of metallurgical industry, aircraft engines production and instrument-making industry. There are all necessary facilities for comfortable life of students in Zaporozhye. The system of training at Zaporozhye State Medical University includes the premedical, medical and post-diploma periods of training. The premedical education is provided at the Preparatory faculty for foreign citizens, which is the oldest one in the countries of CIS. It is a center of foreign students’ training for further studies in other higher educational institutions of Ukraine. The training of foreign students and their specialization is carried out at two faculties: Medical and Pharmaceutical. General Medicine . Qualification: Physician. Training term – 6 years. Pediatrics. Qualification: Physician. Training term – 6 years. Laboratory diagnostics . Qualification: Laboratory assistant – bachelor. Training term – 4 years. Nursing . Qualification: Medical nurse – bachelor. Training term – 4 years. Pharmacy . Qualification: Pharmacist. Training term –5 years. Technology of perfume – cosmetic remedies. Qualification: Pharmacist – cosmetologist. Training term – 5 years. Post-diploma/ Post Graduate education includes the training in the internship, training for Master’s degree, clinical studies, specializedpost-graduate courses in 29 medical specialties and refresher courses for doctors and pharmacists. Clinical Pharmacology, Pharmacy and Pharmacotherapy. 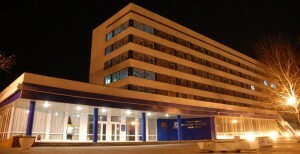 73 Professors and Doctors of science, about 299 Associate professors and PhDs, the Academicians of native Academies, Honorary workers of science and engineering, Honorary workers of higher institutions of Ukraine, State prize winners are engaged in pedagogical and scientific-research work at 50 departments of the University. The total number of teachers with scientific degrees is 86, 3%. At many departments their total number is 100%. 8. Return ticket with an open date of returning to his native country within one year . The student hostels of the University accommodate 2900 persons; two of them are destined for foreign citizens. The hostel buildings are of a modern block type and consist of the rooms for 2-3 persons with all conveniences. There is Internet hall in the hostel for foreign citizens. The students of the hostel are provided with the access to the Internet in their rooms. Medical obligatory insurance is 100$ US per year. Annually all students irrespective of their health have compulsory preventive check-ups and examinations and those who need treatment can get it both at the polyclinic and in the best clinics of the city. The diagnostic complex is represented by a clinical biochemical laboratory, a functional diagnostic division, a room for Endo-scopic examination and X-ray room. The department of physiotherapy and rehabilitation fulfils an important work in the process of treatment. The leading medical specialists of the Regional Hospital provide for the consultative assistance. All students get a regular complex of preventive inoculations. There is a medical unit on the territory of the University where students can get a qualified premedical and medical aid in urgent states. Qualified specialists – the University workers – give regular consultations there. There is a student sanatorium-dispensary in the campus, too. Students can take physiotherapy treatment there.